My name is Alex. I'm a filmmaker, student, attendee at Chessington Evangelical Church and follower of Christ. I've just returned from Madagascar, from a small town called Mandritsara, where I spent the last 3 weeks producing 13 short films that demonstrate the amazing work that God is doing at 'The Good News Hospital'. As you read on, you'll find a collection of the updates and observations that I sent back to many people here in the UK who were praying for the trip, upholding me in prayer and hopefully being encouraged. I'm incredibly grateful for the opportunity I had to see God's people in Madagascar, and to see the incredible work that The Good News Hospital is doing out there. My prayer as you read this, is that it encourages and even challenges you. I certainly learnt a lot, and I hope you can too. It's been a stressful day trying to sort one thing after another... insurance, customs, accommodation... I've got to the end of the day with most of those boxes ticked, but I'm not necessarily any the wiser. This evening I've been reminded of my desire for control; to know exactly what's going to happen and how I'm going to respond. But the truth is I haven't got a clue about what will happen from the moment the wheels hit the ground in Madagascar. But it's better that way! Psalm 127:1 reminds me that unless I'm trusting that God is in control, all my efforts are pointless... I'm not any the wiser about some things, and I'm not going to be. In this last day before I jet off, pray that I would exchange my desire for control, for a deep trust in God's sovereignty. But pray also for God's protection, for smoothness in travel and getting through customs. It's not wrong to pray for those things, in fact it's the right response, because it acknowledges that it is only God who is in control of this trip. "Never once did we ever walk alone... God you are faithful"
The first leg of my journey is over just as quickly as it began. On the flight over to Paris I was listening to a playlist I called 'Saved & Secure' which is full of songs with great biblical truths. One of those songs is called 'Never once' by Matt Redman and it was a very welcome reminder that I'm not alone in this ordeal. The next part of the journey is the part I'm most concerned about, getting safely into Madagascar with all the equipment. So if you're going to pray, pray at 7:30pm this evening as I arrive. It still weighs on my mind, but I'm also conscious of a peace that comes from knowing that God is with me every step of the way, and he can do incredible things! 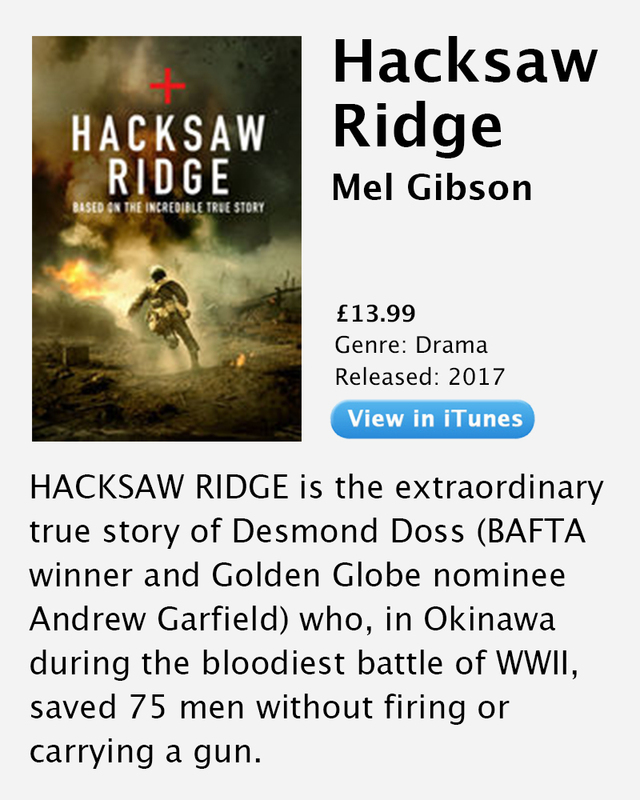 'Hacksaw Ridge' is the true story of Desmond Doss, a medic in Okinawa during World War 2. He was a man with a deep faith in God, who felt convicted that he could not take a man's life, so what did he do..? Doss endured intense ridicule during his training, receiving both physical abuse from his fellow soldiers, and even a court case from his superiors. But Doss was resolved that God had put him there to save lives, not take them. And so, in one of the fiercest battles of Okinawa, Doss went onto the battlefield without a gun, and tirelessly worked to save the men who had ridiculed him. Even once his company had withdrawn, Doss kept working on the frontline that night, saving 75 men and even attempting to save the lives of two of the 'enemy'. It's a powerful film, and I often find films that are based around faith and the extraordinary love of God are the only ones that can move me to tears. But Doss is just a reflection in a muddied mirror, an imperfect but recognisable image of who Jesus is. Who endured the worst pain, both physically and spiritually, to save the very people who ridiculed and rejected Him... me. It's not necessarily anything to do with this trip, although I suppose in a way, it is just one of the many ways God is using it to teach me. Give the film a watch when you have a chance (but prepare to cover your eyes if you're squeamish). This morning I woke up with a strange feeling. A feeling of disorientation, after arriving in pitch black last night, and a feeling of loneliness. No idea where I am, with no one around me I know. So I did the only thing I could, I prayed and asked God for His closeness and presence and for strength. Later, after a few minutes of sitting outside my room, taking in a breathtaking view, but still feeling very overwhelmed; an English couple come out of the next-door room, pass me for a moment, then come back and ask "are you Alex? ", my thought... 'Are you kidding!?'. God's answer to my prayer was suddenly very tangible as I went for a wander with Steve and Tanya who are also heading to the Good News Hospital. I've now spent the whole day with them and feel very much at peace. But it's not necessarily their presence that's given me that sense of peace (although it is lovely), it's knowing that God is right here with me and providing for me. Today has been a restful day, after a short trip into town for food and cash, Steve, Tanya and I hung around the guest house reading. It was a peaceful time and was really great to be free from any distractions (even the internet - WiFi here is awful)! I'm already appreciating the simplicity of this trip, it strips back all the distractions we face daily in the western world and there's a feeling of vulnerability that makes you rely on God all the more. Tomorrow morning (7am) we fly out to Mandritsara where the work begins. Pray for safety in the flight and pray for clarity and guidance as we begin to shape the project in the first couple of days. Ultimately this is about glorifying God for the great work He has done and will continue to do at The Good New Hospital. Our flight into Mandritsara was nothing less than magical. Flying in a tin can at 11,000ft at 300Km/h but the views were breathtaking. We were met by a welcome committee of 100 or so people and children as the plane landed on what can only be described as a holy, bumpy path. It's been great to meet all the team here at the hospital and have a look around both the hospital and the town. My work is going to be cut out for me to produce the 13 films in the time I'm here. Work starts promptly tomorrow morning first thing, but I'm looking forward to it. Pray for clarity as we finalise the filming plans and safety as we go about the filming. It's incredible seeing all the work going on here. This morning I went straight into filming at the maternity ward as the doctors did their rounds and explained how each patient was doing. There was one particular case with a mother and two premature twins. The birth had been complicated due to the placenta covering the exit and the mother had multiple bleeds, so they performed an emergency c-section... sound familiar? Both babies are doing well, one has had to be on oxygen since birth, but it's amazing to see the doctors and surgeons here providing the same expert care you'd experience at home out here in the middle of nowhere! This afternoon we'll be filming at the nursing school and Good News radio station. There's so much going on here! Imagine your local doctors surgery or hospital waiting room, full to the brim, with every single person listening intently to someone giving a gospel talk at the reception. Then imagine hospital wards, full of people in all kinds of pain, situations and scenarios; but every single one, again, listening to the doctor giving a gospel talk in every ward. That's just a taster of how the hospital here really understands, and is showing, that people don't just need physical healing; in fact what they really need is saving from their sins... is Jesus. The last couple of days have been full on non-stop. Mornings are starting filming at 7am and are pretty much constant until 5pm. It's hot, humid and heavy (the camera that is) but it's great to be able to see everything that's going on. Today the doctor that was looking after the two twins, I told you about yesterday, was given the huge privilege by the mother of naming the children. It's sounding like they'll be called Joshua (God saves) and another Malagasy name (meaning God gives). Pray for energy as the levels are beginning to dip, pray for patience as it all feels a bit crazy and all over the place at the moment, and pray for ongoing safety. Finally, pray for the staff here. Emotions were low yesterday evening after 3 deaths in the hospital. A stark reminder that God doesn't always choose to heal people like we might expect, but we trust His will all the same. This morning we had a fantastic opportunity to visit a local village and have a meal with a local pastor and community health worker. It's a beautiful place and the simplicity of everything really has some draw to it. There's so much community as everyone works together and so much of life revolves around each other. This evening we did some very brief filming of some of the evangelistic activities. They often go into the villages (or just outside the hospital) and show evangelistic films on a projector which are relevant to local life. Tonight's film was tackling the traditions of witch doctors and it was great to see around 40 people show up in the street to watch. It's a real encouragement to see that film is being used here for evangelism and is having an impact. Work is busy here. Continue to pray for energy for myself and the team. There was more sad news from the hospital today so please continue to pray for the doctors and staff. I thought I'd share the story of one of the guys who works/helps at the hospital. This is Lamy, and he has no mobility in his legs. He became a Christian a few years back as a result of the ministry of the community health team when they visited his village some 20Km away. Since then, he moved to Mandritsara and is in the hospital every day. He makes his way around the hospital in his wheelchair directing people, welcoming people and talking to patients about Jesus. He often is faced with physical hurdles as he makes his way around; Whether it be narrow spaces between hospital beds, steps or crowds of people. Lamy keeps going, climbing out of his wheelchair and crawling to where he needs to get to. This image was taken after Lamy had just spent about 45minutes sitting and talking to a mother about Jesus, whilst comforting the 2 premature twins. He's an incredible example of faith that can move mountains and he always makes sure he gets to the hospital service and church service, no matter the obstacle. Today has been the most full on day, starting at 7am and shooting right through until 6pm. We had the opportunity to follow a young girl who had been through almost every part of the hospital over the last 4 months. Arriving blind due to cataracts, then having a stroke which left her right side incredibly weak, and now she's coming back continually for physio and to remove a cataract in her right eye. Her mother has been with her all the time and has recently become a Christian, and found a local church in her village which is fantastic news and a testament again to the work here. Please pray for energy and strength, my muscles are feeling very tired today and holding up the camera for prolonged periods of time is becoming more difficult. Pray also for me tomorrow as I'll be filming in surgery. A hot room, a heavy camera and a gory image to focus on could end in disaster! 5:20am saw us in the car and en route to the local church. They have a prayer meeting on Tuesday mornings at 5:30am, a great challenge for someone who often prefers a lie-in over a prayer meeting. After the prayer meeting we headed to the other side of the valley that Mandritsara sits in, to get a view over the town in the dawn light. Suffice to say, it made the early start worth while! It's been another full day but despite the early start, God provided the energy and strength to push through filming until 5:30pm. Unfortunately this evening, in my perhaps cloudy-headed state, I managed to drop the tripod and break a small part off. The tripod is still usable but I need to be a bit careful to prevent the camera from toppling the tripod. Pray that it wouldn't topple! Tomorrow morning holds in store the surgical procedure (the patient ate today, which they weren't meant to, so it had to be postponed). I also heard noises that Friday might involve a 5am start and I believe I am on call with the doctors tomorrow night (calls could come in any time during the night), so continue to pray for good, albeit short, rest and energy to continue. Yesterday was another busy one, starting at 7:30am but finishing around 4pm which was a very welcome event. Dinner last night was rather broken up. Mat (who was hosting us) is one of the surgeons and was called in to treat a boy with burns just after dinner started. Then another patient had suffered serious blood loss and so 3 of us went in to have blood tests. The other 2 then gave blood but I wasn't the right blood type. I then hurried over to film the treatment of the boy with burns and by the time it hit 10pm, we'd all gone our separate ways. In a way it was quite amusing, but also a window into the spontaneous way of living at a hospital. Today is a rest day, praise God! I enjoyed waking up at 9 this morning and have had a relaxed and slow start to the day. 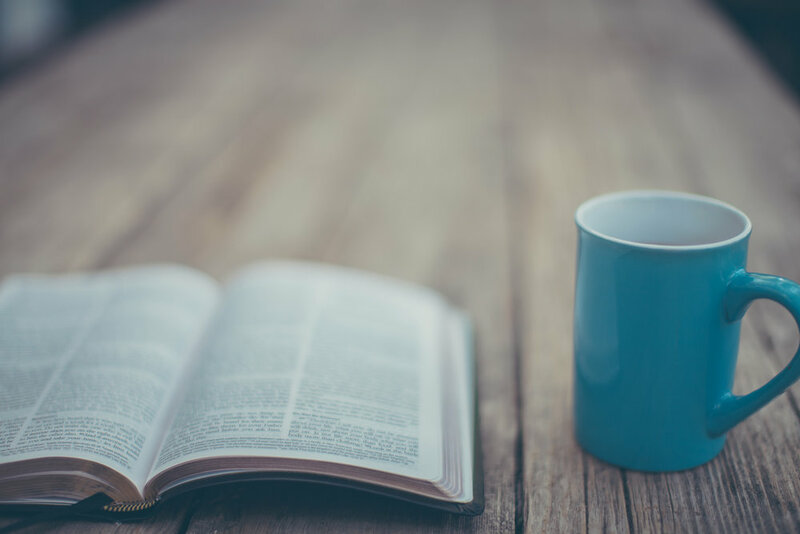 I've recently been reading a book called 'Devoted to God' which is all about sanctification and living a life devoted to God, which I'd definitely recommend! Today's been another exhausting one. We started at 6am this morning on a 3 hour drive to a village to film TEE (Theological Education by Extension - a Bible leadership training course run in various villages). It was an interesting journey with river crossings and roads, that definitely weren't roads, but the Land Rover took it all in its stride. At the village we stopped in at a little coffee place as well as a family's house, the guys here are incredible at taking every opportunity to have a Gospel conversation. It ends up the lady who owned the coffee shop had been to church in Mandritsara, and was keen to find out how she could get some bible training. On the drive back, we stopped in at the Malagasy version of a service station... two ladies with a fire and a pot on the side of the road. Again it was straight into a Gospel conversation and it turns out the president of the village is keen for a church there. It would actually be an incredibly strategic place to plant a church so who knows what'll happen (hint: God does). We arrived back at about 5:45pm and are exhausted and very dusty/dirty. Time for some good food and sleep before another 6am tomorrow. Today has been the hardest by far, primarily in terms of energy levels. We left at 5:30am this morning on a 3.5 hour drive to another town to film their church. Filmed there for about 30-45mins and then left. On the way back, part of the gearing/drive shaft broke meaning we could only drive at about 20mph the whole way back. All in all we spent around 8.5 hours driving today in a very hot and cramped car. Nevertheless I feel exhausted this evening and tomorrow we head out with helimission to a couple of remote villages, where we'll be staying overnight. So most of all tonight please pray for renewed energy and the motivation to push through these last few days now. Praise God, he sustains me! We landed back at the hospital just after lunchtime today. I'm incredibly thankful to God for providing me the energy I needed. I slept well at the village overnight with no disturbances, something I understand is often a rarity in the jungle with large rats and bugs that like to annoy people. It was great to visit the people there, the whole village are followers of Christ (apart from 2), and there are around 300 believers in the local area, which is a very high proportion. It was also amazing to see these people's priorities. Straight after the helicopter landed they held a church service. Then, later in the evening, a group of people from another village arrived after a 4 hour walk; Yet another church service. But what was even more amazing, was that this group had nowhere to stay... their solution: we'll stay up and sing praises to God. It humbling to see how up-side-down we have our priorities as westerners. Even those of us you'd call strong Christian's (disclaimer: I'm not saying these villagers have everything right). We often set a small part of the day aside as 'God time' and then the rest we get on with whatever distractions there may be. These people don't have savings, they don't have much and they are almost all farmers... in our mindset we might say 'they don't have time for another church service on a Monday, they need to work to have enough food'. But they've got the picture, it's God that provides for them, and when you get that your priorities straighten out. For us westerners, it's not our job that provides for our family and sustains us. So don't skip a Tuesday prayer meeting, a Sunday service, an opportunity to spend time with God, because you're too busy... God provides and sustains, so throw all your time and energy at Him. Oh, and the helicopter flights were pretty cool too! Yesterday afternoon I left the hospital after 2 weeks which at times felt like a month, and at times felt like just a few days. Upon reflection the time has flown by, but I'm incredibly grateful for everything I've been able to see. I've seen more of the project out here than most, and the work they're doing really is incredible when you consider all the different aspects. I've got 2 days now in Tana before my flight home. Thankfully the Lord provided again and one of the medical elective students was flying back to Tana on the same helicopter flight and staying at the same place. The very real sense of daily reliance on God for energy and for provisions. The challenge of God's people here that seek to overcome any obstacle to serve God. The challenge of prioritising God in everything even when there can seem to be higher priorities. The encouragement of seeing guys take any and every opportunity to talk about Jesus; in a coffee shop, service station or on the street. The challenge from the book I've been reading, to seek to grow in holiness and devotion to God. They're all fantastic things I've learnt, been encouraged by or challenged by. But my prayer now is that I won't forget them, and I won't allow myself to be consumed with 'other things' when I get home. And I'm back in the UK! Thank you to everyone who prayed for the trip, for the work, for me over the last few weeks. It has been a fantastic experience, albeit tiring, and I've learnt so much. Please pray for me over the next week as I attempt to rest up before heading to Cyprus on Friday, for a week, to film a Christian kids TV show in Farsi. Please pray also for all the hospital staff that I've said goodbye to. The work they're doing really is fantastic, but it's also a constant spiritual battle and very physically and mentally draining for them. It's only by the Grace of God that they can do what they do. I'd also appreciate prayer as I begin to edit the films when I get back from Cyprus. There's a lot to do with 13 films in total! Pray for Mat Linley too who will be organising the translation of 25 Malagasy interviews into English.